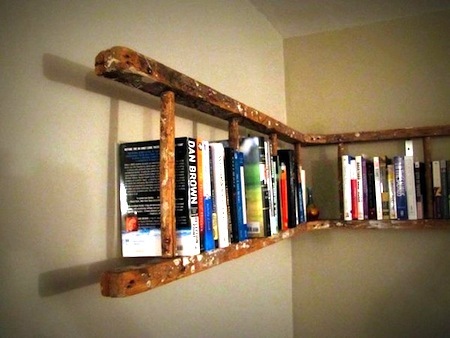 Old ladders have been put to great use as a unique solution for a book or magazine shelf. 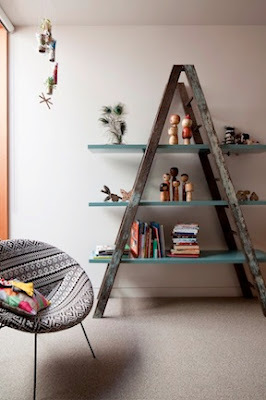 Saves you from investing in built-ins and adds a touch of funky to your décor. Here are a series of different approaches to this one solution. 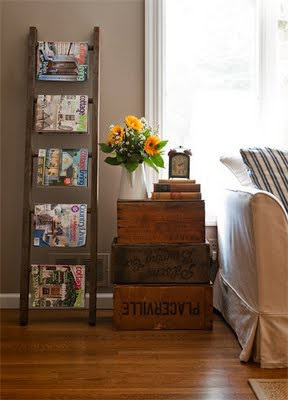 If you still have a magazine collection that you like to share consider this first approach. I've stopped all magazines in this digital age but it seems many in the décor world haven't. You'll find many ideas built by using two ladders attached at the top creating a very sturdy pyramid. With matching ladders the rungs will line up to make great shelves. 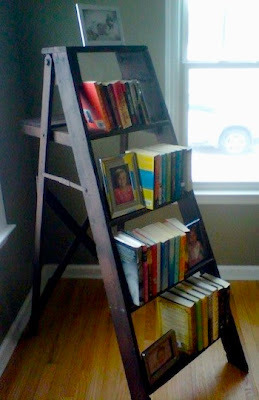 The ladder in the following example seems to be a vintage masterpiece. Here books are stored horizontally on the rungs of the step ladder. It is a great piece for the corner of the room. 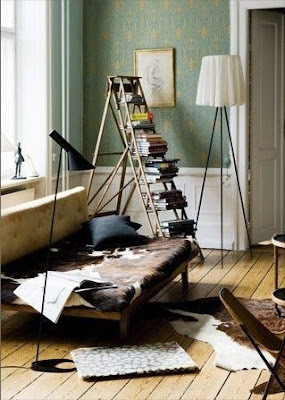 Here is the same approach but the books are stored vertically. And lastly this approach has been getting a lot of coverage in Pinterst. It is a great DIY project if you find the appropriate ladders.